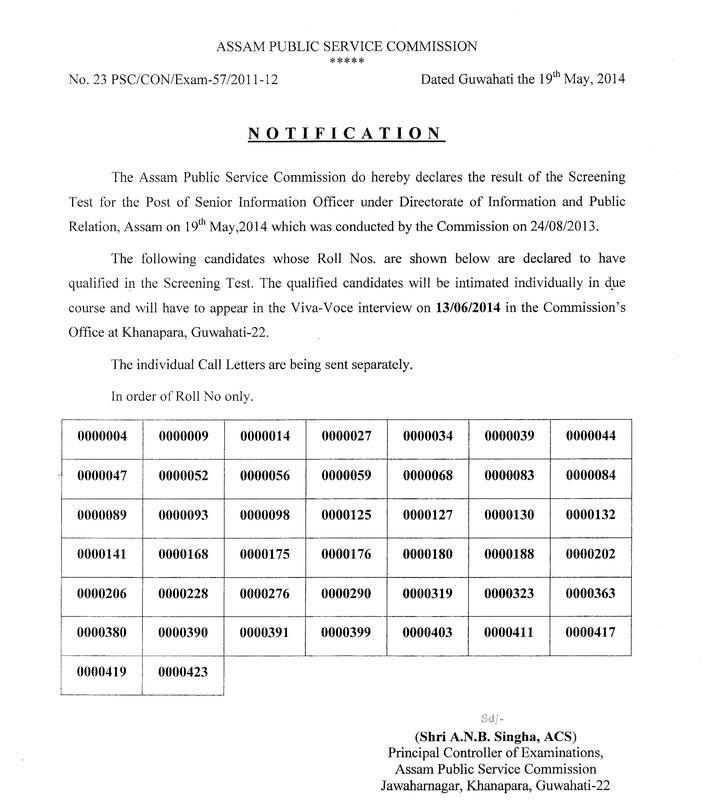 Assam Public Service Commission announced screening test results for the post of Senior Information Officer under Directorate of Information and Public Relation, Assam on 19 May 2014. Assam Public Service Commission announced screening test results for the post of Senior Information Officer under Directorate of Information and Public Relation, Assam on 19 May 2014. This test was held on 24 August 2013 by the Commission. Successful candidates can attend Viva-voce Interview on 13 June 2014 in the Commission’s office at Khanapara, Guwahati-22. Candidates can check their result on the following link.